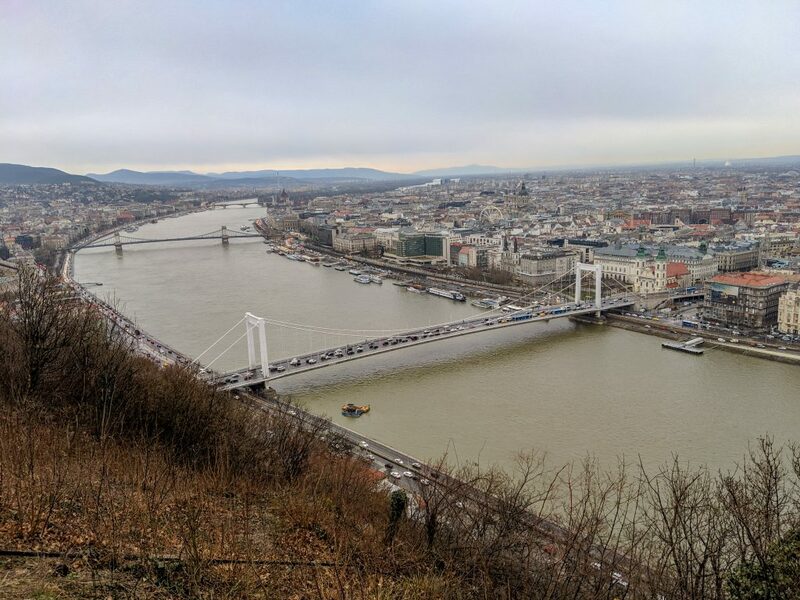 Our trip to Budapest had us logging 25k steps per day. Our legs felt worked, our feet were sore, but we were positively delighted by the beauty that is Budapest. We’d seen the castle (gorgeous! ), walked by the Parliament (lovely! ), and soaked in the thermal baths (relaxing!). 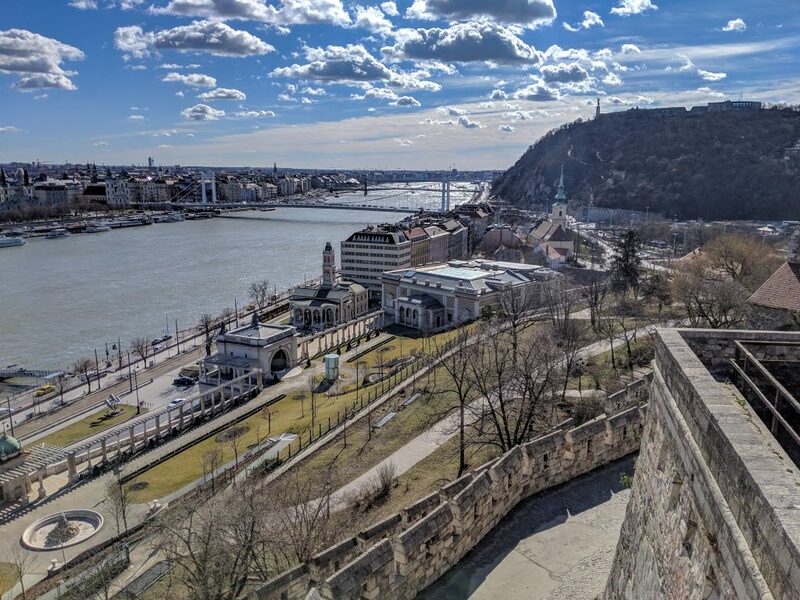 However, from the window in our hotel room, we could see what appeared to be a large statue on top of a hill on the Buda side of the river, and we wanted to check it out. 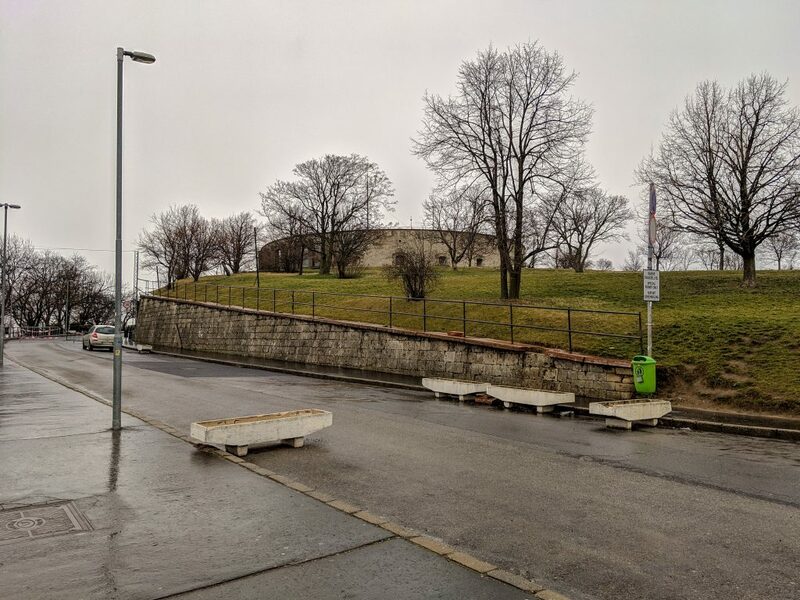 This hill happens to be Gellért Hill, and at the top you will find the Citadella. If the weather is right and your legs are up to the task, it’s a short hike to the top. In fact, we did just this, and would recommend it if you’re in adequate physical shape. We visited at sunset and it was gorgeous! 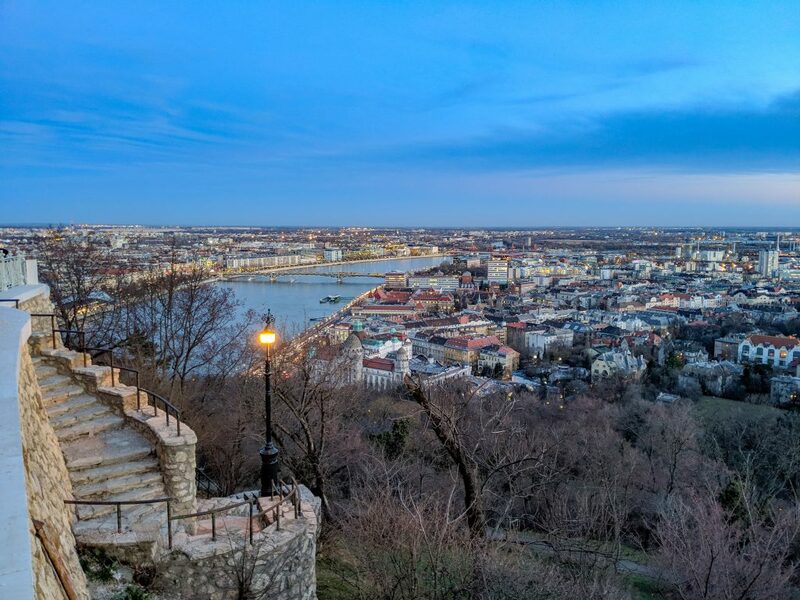 We ventured on to other countries, but returned to Budapest for an overnight stay before flying home the next morning. 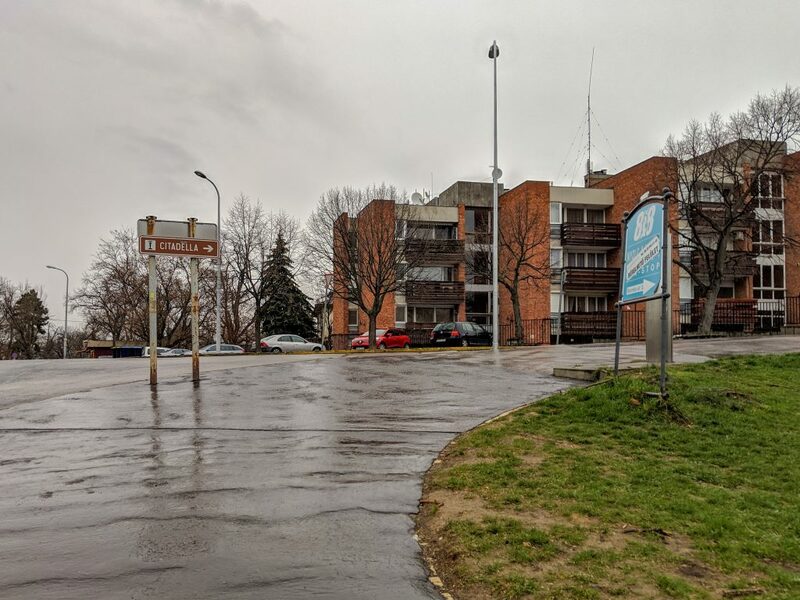 We only had a few hours to visit the city again, our feet were tired, and it was raining. We wanted to return to the Citadel, but walking wasn’t going to work for us. This led to figuring out exactly how to get to the Citadel without the hike. 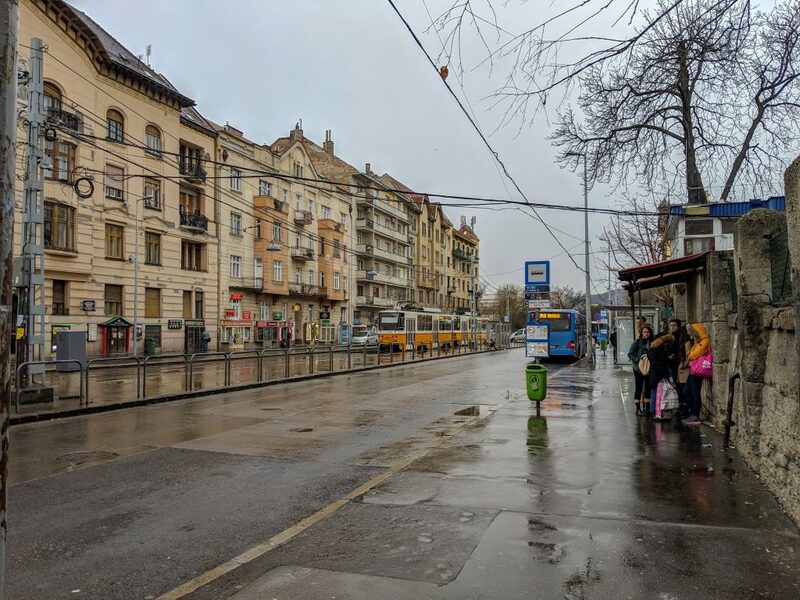 We strongly suggest getting the Budapest Travelcard. We purchased ours at the airport, but you can also purchase at kiosks at some bus stops and metro stations. If you have the Travelcard, this journey is free! 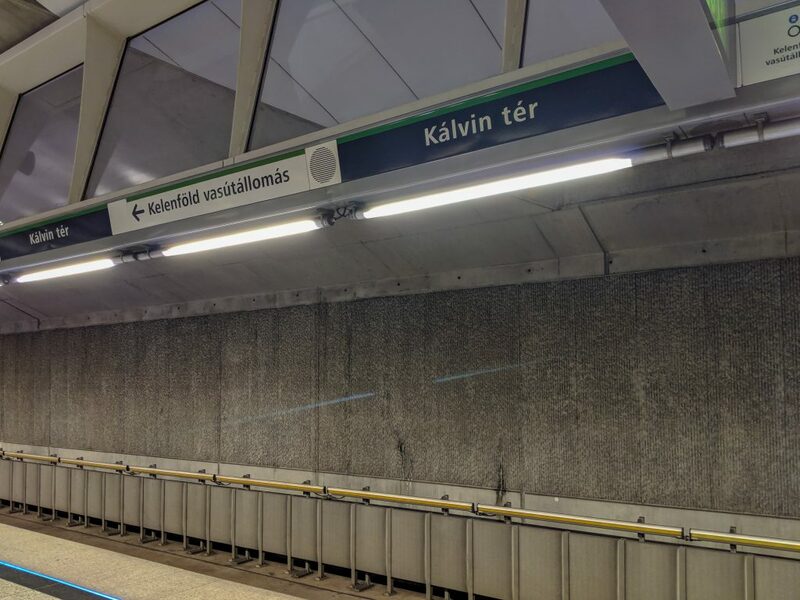 Your first task will be getting to the Kálvin Tér metro station. 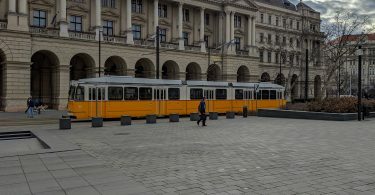 This station is served by metro lines M3 and M4, as well as the bus (including the line from the airport, 100E) and the tram. 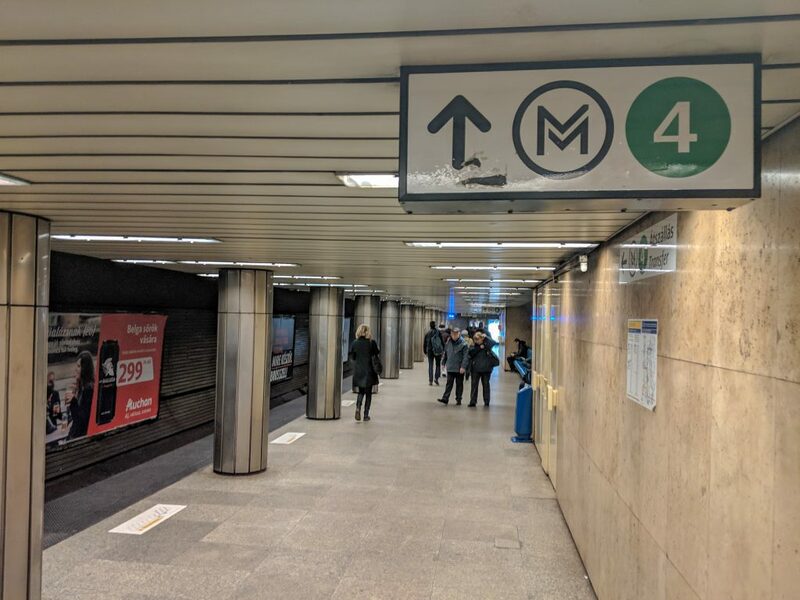 Once you’ve reached Kálvin Tér, follow signs to board the M4 line, heading towards Kelenfӧld vasútállomás. 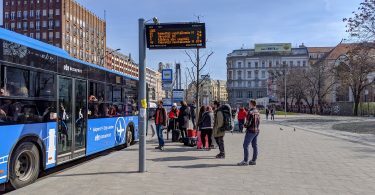 Ride three stops to Móricz Zsigmond körtér. Once you get above ground, look for the signs for buses. The city has made this pretty simple to navigate. 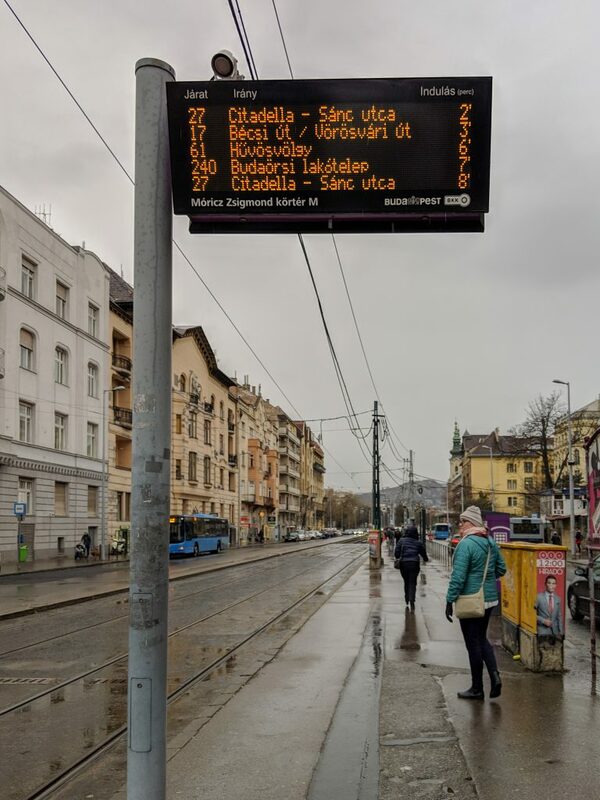 You’re looking for bus #27, labeled as Citadella- Sánc utca. 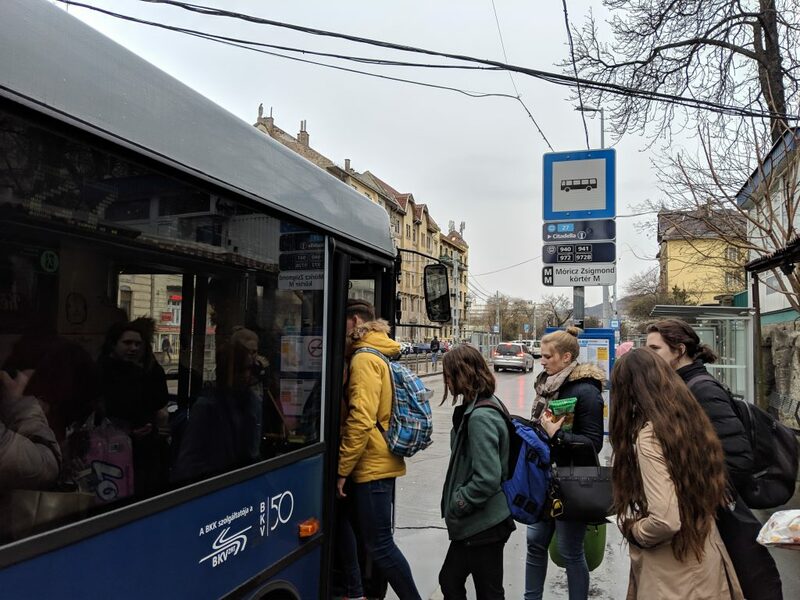 Simply hang out at the stop until the bus arrives, and enjoy the journey as the bus slowly climbs the hill, stopping at many residential streets along the way. When the bus arrives at the stop for the Citadel, there will be an English announcement overhead letting tourists know they’ve reached the top. 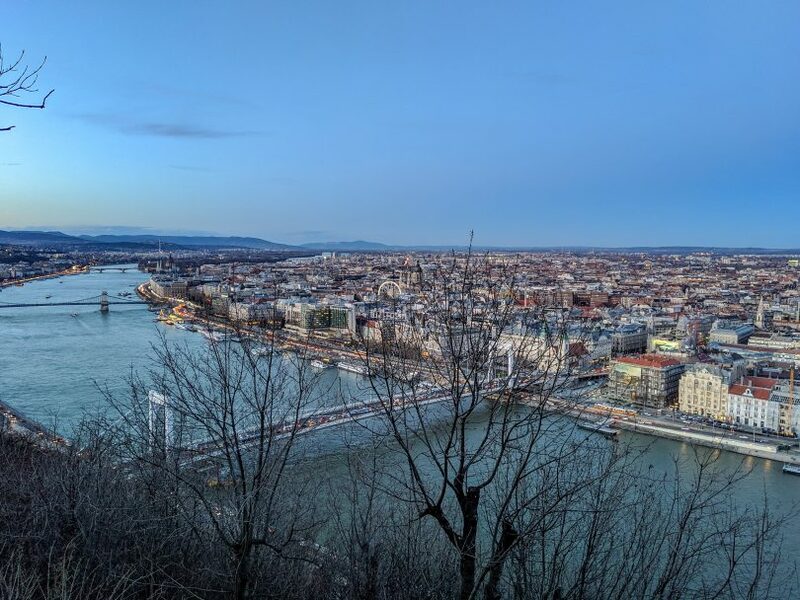 Once you’ve disembarked, the final path to the top of Gellért Hill and the Citadella will be obvious. Even on a rainy day, the views are a sight to behold! Enjoy the view from the top! The Citadel offers 360 degree views of the city and is a great photo spot both day and night. To return to the bottom, start walking the path that leads toward the river. 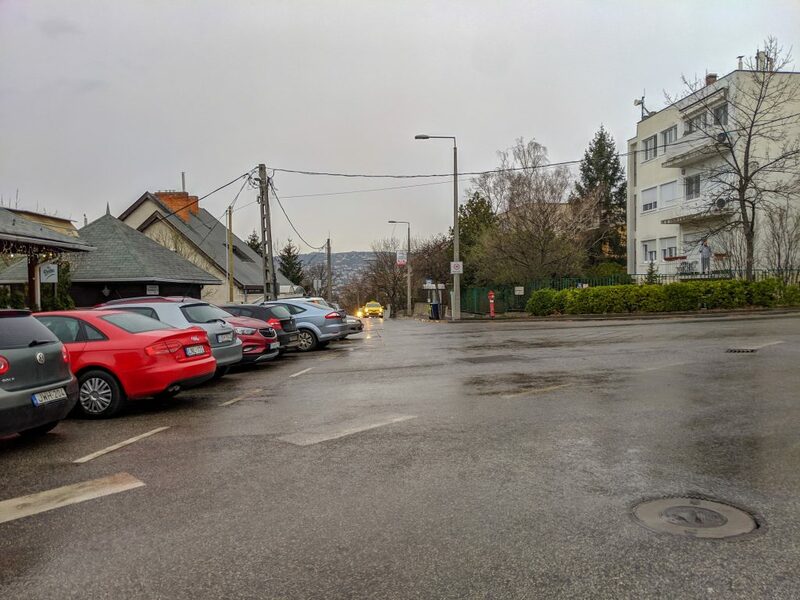 Alternatively, you can return to the bus station and take #27 back down the hill, and then use the metro station at Móricz Zsigmond körtér to head to your next destination.